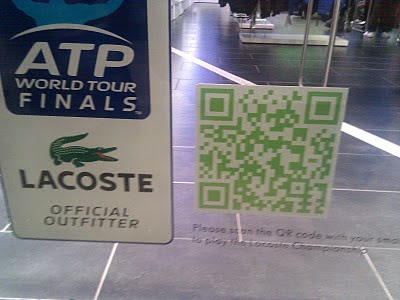 The Lacoste store at Westfield has a QR code mechanic in their shop window. It all points to the Lacoste Championship which is a classic bat and ball type arcade game, also accessible through the website at www.lacoste.co.uk. The whole thing is integrated with Facebook / Twitter and at the end of the game players can register for a 15% Lacoste store discount and enter a Lacoste prize draw competition. 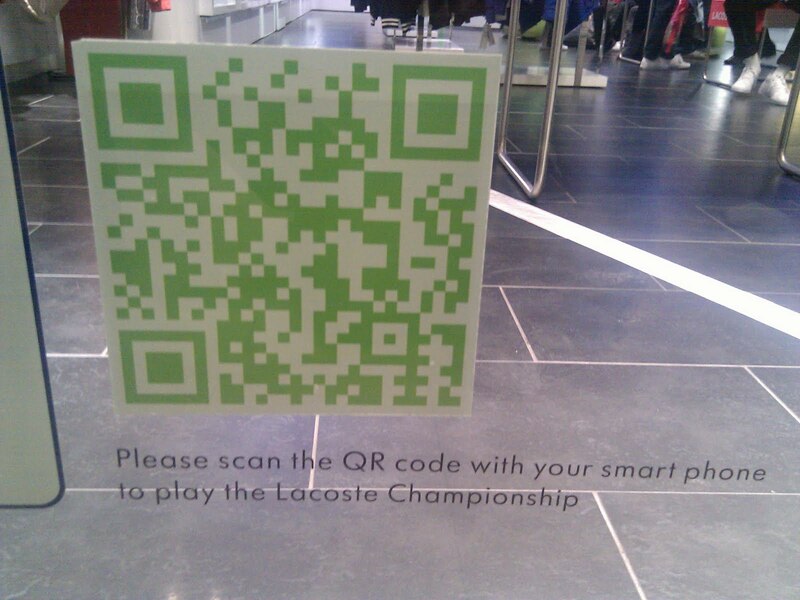 I love it... 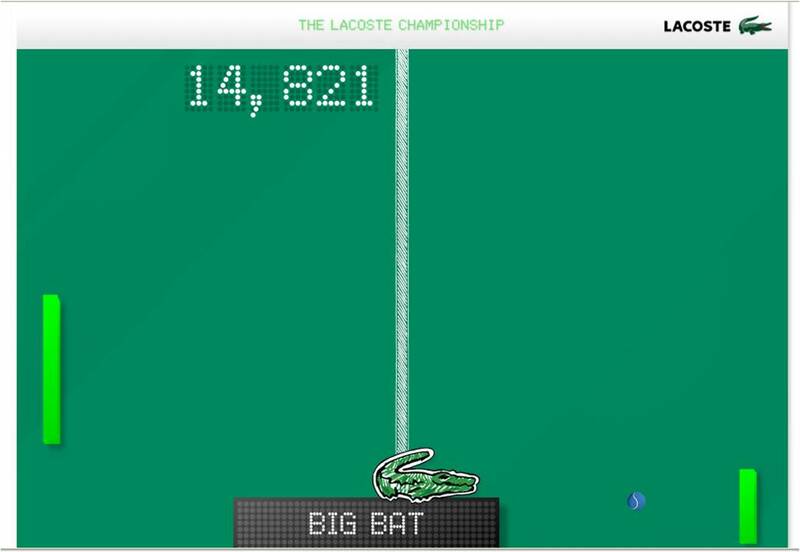 Through back Atari style games are still my favorite. Point, Lacoste!